The Purpose Of Inter-Country Adoption. To provide a loving, caring family for a child who resides in another country and is without parental care.New Zealand is legally bound by the Hague Convention and the Inter-Country Adoption Act (1997). The best interest of children are considered with each inter-country adoption.The prevention of abduction, exploitation, sale or trafficking of children. The guidelines and procedures that are set forth in the Hague Convention are also for the protection of birth families, as well as adoptive families. 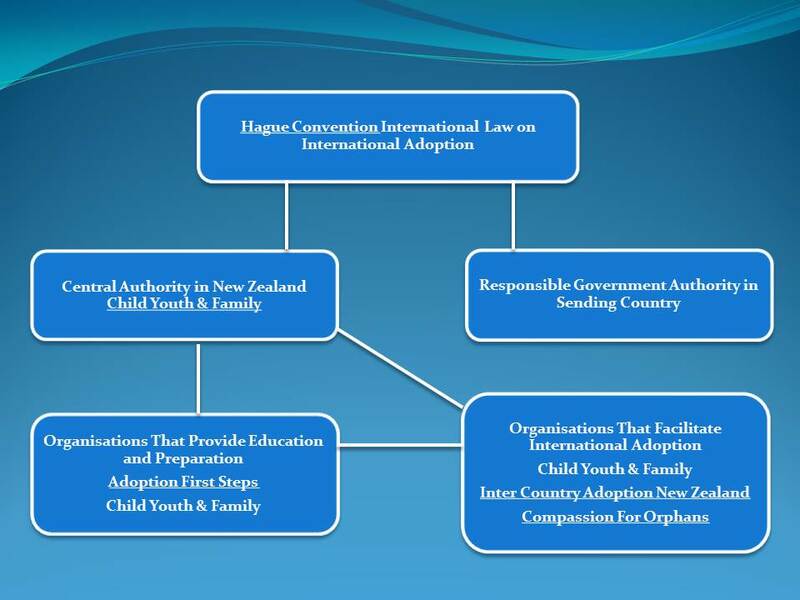 Part of the Convention’s guidelines ensures that one Central Authority, (in our case, Ministry for Vulnerable Children, Oranga Tamariki), is in place to ensure that proper legal procedures are followed. The AFS mission statement is “Well Prepared Families For Inter-Country Adoption”. Research shows that well prepared adoptive parents have more success in raising an adopted child. We focus on preparing parents for adoption and work to ensure the purpose of the law is fulfilled here, particularly in ensuring that the best interests of the child are of primary importance.